Found on Gambier Island in British Columbia, Canada, Camp Fircom curates outdoor programming that focuses on providing unique experiences to participants. We celebrate the outdoors and an outdoor lifestyle and encourage participants to find time to relax in the fresh air of our 120-acre waterfront property. We host camp programs for kids, youth and families. 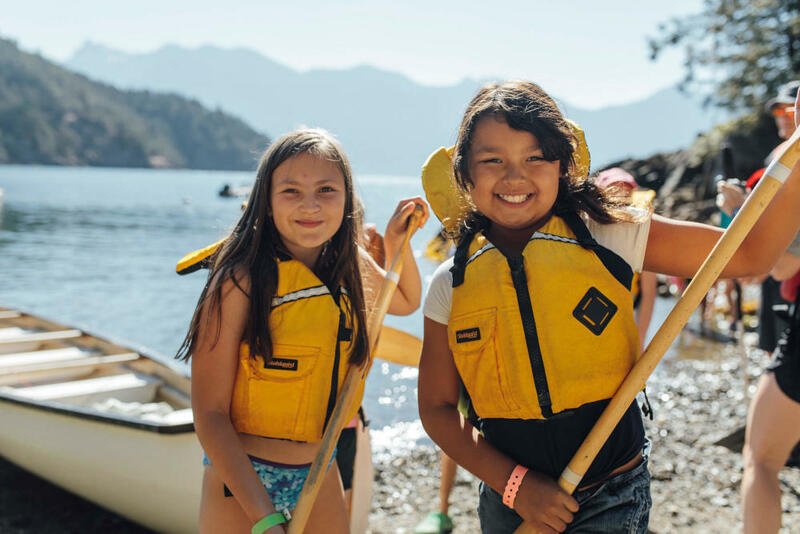 Campers get to experience off-grid, sustainable living while learning a variety of sports, games, crafts, songs and water activities. It’s living the good life! We love to help others build memorable experiences for their community. We sustain our charitable activities through hosting corporate retreats, weddings, youth groups, and other events on our beautiful property. If you’re keen on living sustainably and helping others learn how, then you should get involved with us at Camp Fircom. We often offer employment and volunteering opportunities, or you can participate in fundraising events. Come join our community on beautiful Gambier Island and see how you can grow too! Spring is in the air! This past weekend a wonderful group of volunteers came up to Fircom to help wake up the camp and get it ready for the spring season. This is your chance to join the Fircom board of directors! Join us for Fircom’s 39th Annual General Meeting on April 4th at 6:30pm. Fircom Welcomes Marcella to the Team! Fircom is excited to welcome Marcella to the team as our new Rentals Manager! I had such a wonderful time. The staff was awesome and the location was beautiful. I can not speak highly enough of the food!! It was so delicious and wholesome.